Sauceless dumplings are like the crying-on-the-inside kind of clowns: They look the part but something is missing. 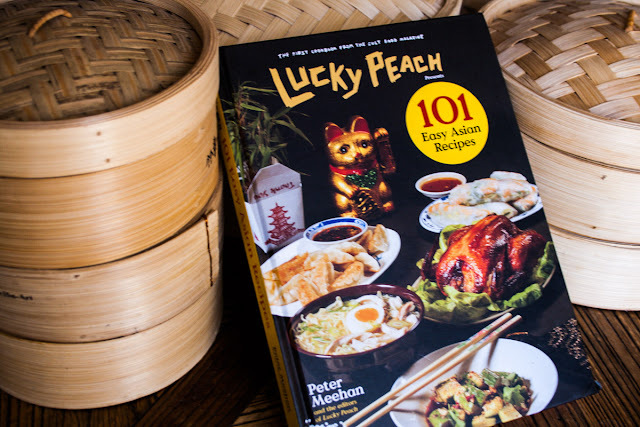 Peter Meehan, Lucky Peach, 101 Easy Asian Recipes. When this book hit the shelves I held off buying it. There comes a point, say around 200 cookbooks in which you have to start being selective on what you buy. The cover promised 101 easy asian recipes and I kind of didn't get it. Why would a group of chefs known for their passion for technical cooking write this book? Did I want easy, did I need easy? Is easy still tasty? It felt a little like those four ingredient cookbooks, why would I want to make something with only four ingredients? I didn't really grasp the concept till Lucky Peach posted the recipe for Miso Claypot Chicken (No Claypot) online.It looked like a quick dinner whip up, the type you go looking for on a weeknight after a long day at work but it looked good, real good. So I cooked it and it was easy, really easy, too easy even. One might suspect if cooking is that easy we would all do it more often, there must be a catch. But guess what, there was no catch. This one-pot dish was full of flavour, salty with the umami goodness of shitake mushrooms and that allure of gluggy rice soaked with sauces we all secretly crave. And then I still didn't buy the book. I silently stalked the Lucky Peach facebook page. When strangers bagged out the book without having cooked from it I defended it. Yes cooking can be easy and still tasty, it doesn't have to be an epic all day cooking marathon. And I still didn't buy the book. I found a physical copy in the essential ingredient in Melbourne, until then I have only viewed the online excerpts. I was amused by the intentionally kitsch food photography with Chinese golden waving cats and yet impressed with the scope of the cuisines and ingredients whilst still sticking to the mantra of "easy". And yet I still didn't buy the book. Then the booked stalked me. I kept thinking about it, thinking that my collection needed this book. I already had the gamut of asian recipes hard, authentic, retro but I didn't have easy. I needed easy. So I jumped online and ordered my copy, a good two years after it's release. I left the online store with a smile on my face, flicked over to facebook and what is the first article I see...Lucky Peach is shutting down. Only one acronym came to mind, WTF. With that little disappointment still raw my book turned up and I read it, cover to cover in one sitting. Something I have never done but Peter Meehan's narration throughout the book is insightful and comedic all at the same time. I continually made my husband pause his You Tube so I could read him excerpts till the point where I realised I wanted to read the whole book to him outloud so I just quit, leaving him in peace. The conception tale in the introduction finally explained to me how the idea for the book was born. Originally to be a play on the wildly popular Ad Hoc at home, a cookbook by Thomas Keller which is decidedly not recipes for the home cook despite what the title promises, Meehan and his cheffy friends thought it would be funny to put out 101 easy asian recipes that were by no means easy. Life, as it tends to, changed for Meehan and his friends. Lucky Peach took over their lives, kids were born and they realised they actually wanted to make a book for home cooks, in his own words Meehan says it was to be "simple and flavourful recipes with the home cook in mind". They set themselves two main rules: No frying because it is a messy process, although I will admit I have become quite a fan of home frying in recent years. The second rule no-sub recipes. The last I am eternally grateful for. I can't tell you how many times I have thumbed through a cookbook and thought "oh yeah that looks great and so easy" and then realised there were three sub-recipes in the back of the book that have a combined prep time of three days. Not pointing any fingers here...Chin Chin. I do bear in mind depending on your location these recipes may not actually be easy at all as you cannot make most of them without access to an asian grocer but with a little forethought and the marvels of the internet and home delivery this can be overcome. Once that hurdle has been surmounted the recipes presented are as the title states, easy. Ready made wonton wrappers are used in place of the home made, time consuming variety. Pho is pared back from a multi-day simmer to four hours and still retains it integrity and ingredient lists have been refined to produce the best flavour without having lists of ingredients two pages long. It is apparent that whilst these recipes are "easy" a huge amount of work and refinement has gone into them to retain the flavours people expect without the life-sucking tedium that overly cheffy recipes burden you with. It's the kind of cooking I wish I knew about when I first moved out of home. Although I am a confident cook now I had to work up to that from the basics. Packet, powdered alfredo pasta and ready made schnitzel were the order of the day in my first share house. I then moved to the women's weekly cookbooks which gave me a grounding in cooking from scratch until I was confident to move onto more complex recipe books and cooking without a recipe. If I had a book like this I think I could have skipped at least the step of packet pastas and jumped straight into fast but delicious asian home cooking, something I now revel in thanks to this book. Down to the nitty gritty I would recommend trying the Hainan Chicken. 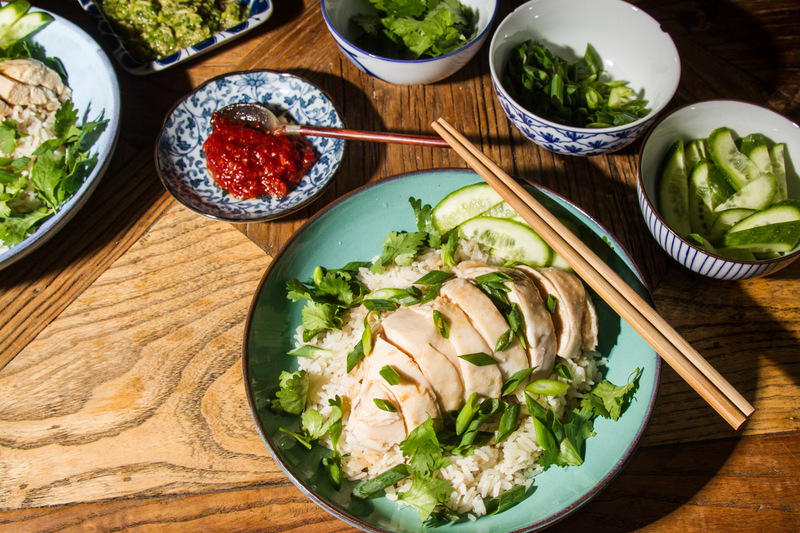 It is a touch more involved than some of the recipes but produces a beautifully tender chicken with subtle and aromatic asian flavours accented by the accompaniments like the ginger, scallion sauce. The Sichuan Pork Ragu is weird yet wonderful and as mentioned above the Claypot Chicken has become a go-to recipe in our house. I would also suggest giving the miso glazed eggplant a try. It has converted my eggplant hating husband into an avid eggplant consumer.